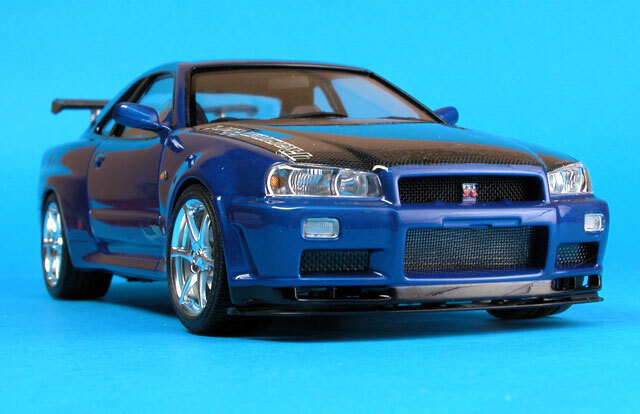 Here is Tamiya's 1/24 scale Nissan Skyline GTR-V Spec 11. 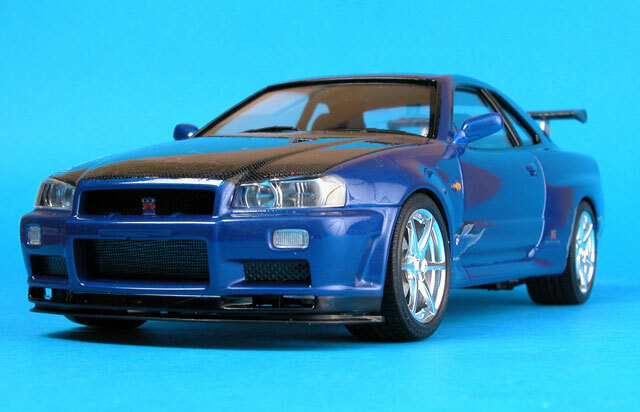 This car was built for my local hobby shop that was having a competition for anything Japanese. As usual, there were no problems with the build. Tamiya’s cars, like all their kits, seem to just fall together. 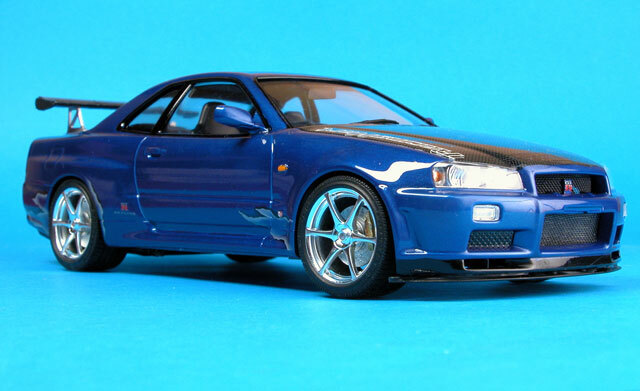 The car was painted in TS-50, Mica Blue, with a gloss coat to bring out the shine. 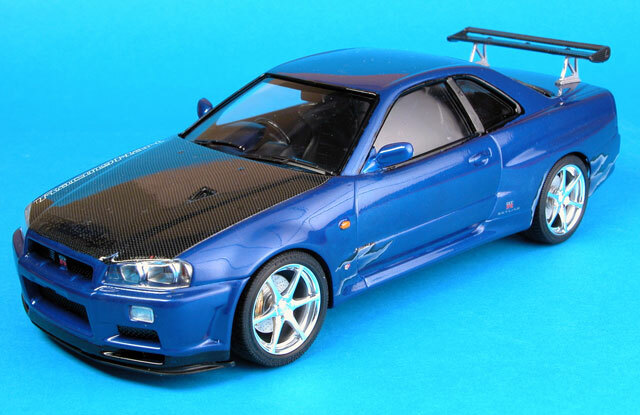 Tamiya Carbon decals were used on the bonnet and the rear spoiler, using plenty of decal softener and the wife’s hairdryer. 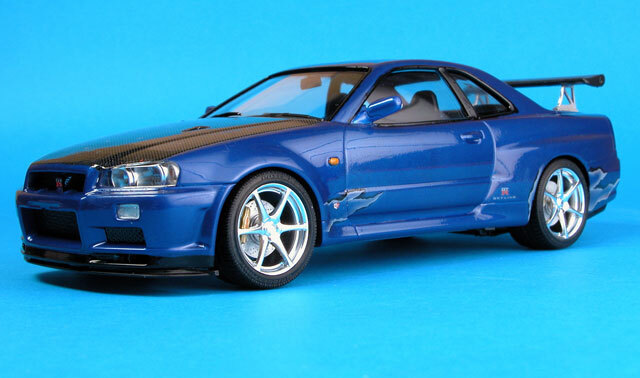 To brake the car up a bit, I put some decals around the wheel arches from a 1/12th scale Ninja bike and some names on the bonnet of the car. This was the sprayed with clear to blend in with the paint.